InstaRipper software is allowed to be used only as a password recovery solution. Which means to find Instagram password of your own hacked, lost, or forgotten account. The second allowed activity of this tool is to use it for parental control purpose. Which means parents can use this application to get inside their minor children' accounts to check if they're on target by internet abusers or some other similar online criminals. 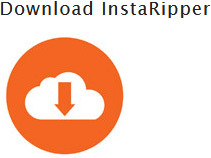 It's strongly prohibited to use InstaRipper to hack someones Instagram account without their knowledge and previous agreement. By doing so, you'll held any risks and responsibility which may have occur after and we (authors & developers of this software and website) will not be responsible for any repercussions of stated unallowed actions. The previous version V1 will no longer work. So please download the latest updated version by clicking the button.